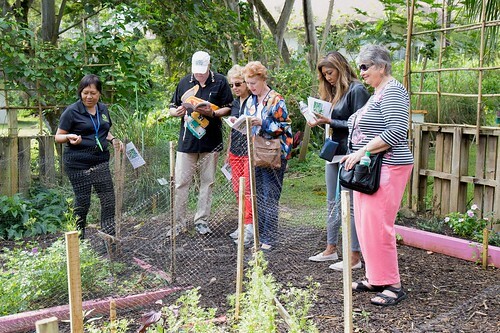 On February 3, 2017, Windward Community College ambassadors and alumni explored the Certified Nurse’s Aide Garden and learned about the health benefits of native and non-indigenous plants. After walking the garden, guests received a back-of-house glimpse of the operations and dining services of the Uala Leaf Café, a Blue Zones approved restaurant. 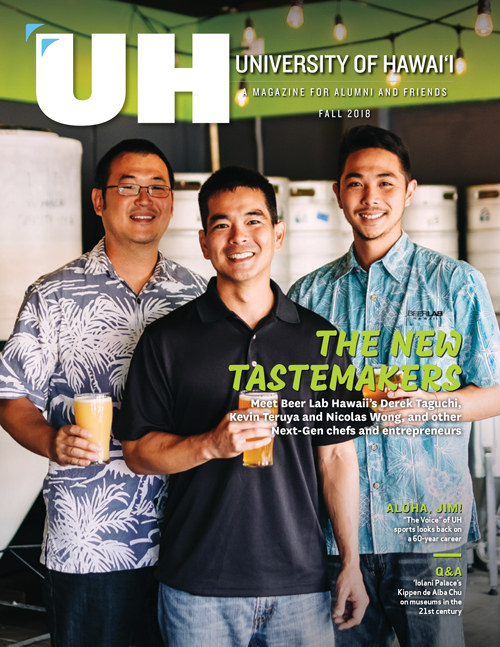 The on-campus eatery practices evidence-based techniques for promoting better health, and is a learning lab of the Hi‘ilaniwai Foodservice Innovations training program, in which students learn basic skills needed in the industry. Chef Jonas Low, an alumnus of Leeward CC culinary arts and Le Cordon Bleu, brought the event full-circle with a flavorful lunch menu incorporating native plants grown in the Nurses Aide Garden.